Today we release A systematic review of the effects of learning environments on student learning outcomes – Technical Report 4 by Terry Byers, Marian Mahat, Kirra Liu, Anne Knock and Wesley Imms and an accompanying fact sheet (No. 10). The following blog post by Terry Byers provides an overview of the report. The Innovative Learning Environments and Teacher Change (ILETC) project conducted a systematic review of the literature on the impact of school learning environments on student learning outcomes. 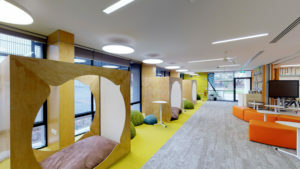 The object of the review was to elicit the existing empirical evidence that assessed the impact of different learning environment types (blended, innovative learning environments, open-plan and traditional) on student learning outcome measures (those with published evidence of reliability and validity). Review search terms revealed 5,521 articles. After applying filters based on the selection criteria, removal of duplicates and comparative review, the remaining 72 articles were the subject of full-text review. Of these, 51 articles were removed because student academic or learning outcomes were not a dependent variable, or no outcome measure was utilised; leaving 21 for final analysis. The relatively small sample of studies identified in the review does support the assertions made by the likes of Blackmore, Bateman, O’Mara, and Loughlin (2011) and Painter et al. (2013) that cite the lack of substantive, empirical data around the purported impact of different spatial layouts on student outcomes. The review studies ranged from single-site comparative through to quasi-experimental randomised designs at multiple sites. Their samples ranged from 17 to 22,679 for students from both primary to secondary schools. The former tended to assess student academic outcomes through existing school-based assessment or bespoke measures of creative, critical thinking or problem-solving testing instruments. The later, with significant statistical power brought through very large samples from multiple schools, assessed the impact of different spaces through systemic, standardised literacy and numeracy testing regimes. With the majority of studies utilising assessment regimes that favour the prevailing view student academic progression, the review highlight the dearth of instruments that support the narrative around ILEs that there is the need for students to be problem solvers, creative and engage in critical thinking and work in collaboration with peers. The final 21 articles fell into three main categories; comparisons between; open-plan and traditional classrooms; physical learning environment performance; and innovative learning environments (ILEs) and traditional layouts. A small number of studies before 1980 compared open-plan learning environments with traditional classroom spaces. Collectively, these studies suggested that the open-plan setting correlated with a negative or no discernible impact on student academic achievement, underlying the related findings by Hattie (2009, 2012). Harbord Public School, NSW Department of Education. Australia. The remaining studies, with the majority occurring in the past decade, presented differing evidence on the comparisons of spaces more typical of contemporary, ILEs against traditional layouts. Across these studies, the evidence presented tended to suggest some correlation between the design, function, and nature of the physical learning environment and learning outcomes. Very few studies reported (Bottge, Rueda, & Skivington, 2006; Byers, Imms, & Hartnell-Young, 2014; Fößl, Ebner, Schön, & Holzinger, 2016) effect sizes that ranged from d = .31 to .78, which limits the scope for meta-analysis. A similar number utilised linear modelling (Barrett, Davies, Zhang, & Barrett, 2017; Tanner, 2000, 2008) to proportion the variable of the condition in the physical learning environment from around 7% to 11.7% variation in achievement on systemic, standardised academic testing instruments. Overall, this review did address the perceived lack of empirical evidence available to ascertain the impact of different learning environments. The comprehensive process utilised here has addressed the previously held position that there were no quantitative studies, with adequate quality, sampling and statistical process, undertaken that have evaluated the impact of the physical learning environment. The identified studies present initial evidence that correlates the influence of the physical learning environment on student academic achievement. That said, there must be greater emphasis placed in future studies of the longitudinal implications of different learning environments on teacher behaviour and pedagogies and how this affects student learning experiences and academic outcomes. Blackmore, J., Bateman, D., O’Mara, J., & Loughlin, J. (2011). 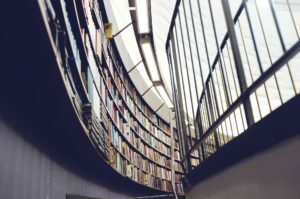 Research into the connection between built learning spaces and student outcomes: Literature review. Melbourne: Victorian Department of Education and Early Childhood Development Retrieved from http://www.eduweb.vic.gov.au/edulibrary/public/publ/research/publ/blackmore_learning_spaces.pdf. Bottge, B., Rueda, E., & Skivington, M. (2006). Situating math instruction in rich problem-solving contexts: Effects on adolescents with challenging behaviors. Behavioral Disorders, 31(4), 394-407. Byers, T., Imms, W., & Hartnell-Young, E. (2014). Making the case for space: The effect of learning spaces on teaching and learning. Curriculum and Teaching, 29(1), 5-19. Fößl, T., Ebner, M., Schön, S., & Holzinger, A. (2016). A field study of a video supported seamless-learning-setting with elementary learners. Journal of Educational Technology & Society, 19(1), 321. Hattie, J. (2009). Visible learning: A synthesis of over 800 meta-analysis relating to achievement. Abingdon: Routledge. Hattie, J. (2012). Visible learning for teachers. Abingdon: Routledge. Painter, S., Fournier, J., Grape, C., Grummon, P., Morelli, J., Whitmer, S., & Cevetello, J. (2013). Research on learning space design: Present state, future directions. Ann Arbor: Society for College and University Planning. Tanner, C. K. (2008). Explaining relationships among student outcomes and the school’s physical environment. Journal of Advanced Academics, 19(3), 444-471. Does space make a difference?